Unless you've been hiding under a big rock lately, you might have noticed that South America has a new hot spot, and whilst Peru and Bolivia are always going to attract the masses, it's Colombia where all the cool kids are heading this year! To satisfy this spike in tourism, the number of hostels in the country has increased significantly, with some big cities like Medellin offering more than 70 different places to lay your backpack. So, how on earth do you decide where to stay? Well, that's where this article comes in. 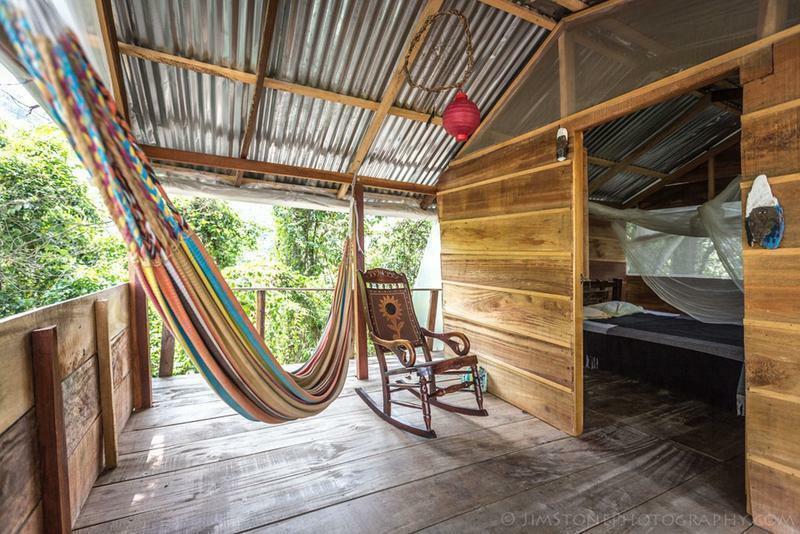 We've listed 25 of the best hostels in the most popular places in Colombia as decided by, well, us - but also by other travellers. 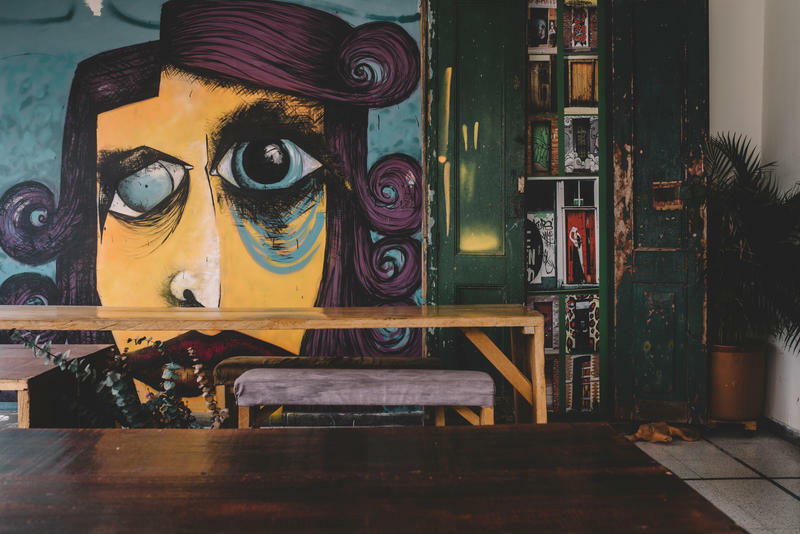 No hostel on this list has a bad rating on Tripadvisor or HostelWorld, and whilst they may not all have pools or super cool styling, sometimes chilled artist vibes or amazing hosts are enough to propel a place into the big leagues! A super new hostel in a great location - designed with people who know how to do cool. 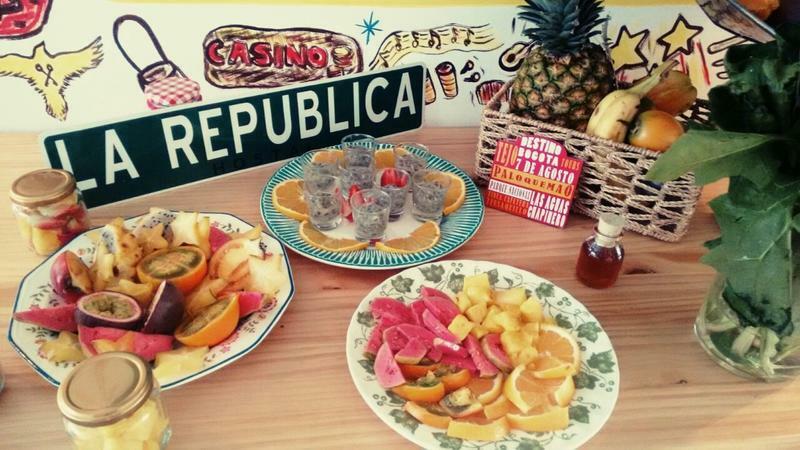 Throw in an awesome decked area and a sparkly new hot tub and you can see why it's the most popular hostel in town! Check availability and prices on Hostelworld or Booking.com. If you're looking for a party hostel in Bogotá - look no further than Fulano Backpackers! Plan for big nights at the weekend and plenty going on in the week. Located in north Chapinero, it's just 10 minutes on foot to Zona Rosa and great bars, restaurants and galleries. Facilities include bar, cinema, huge kitchen, outdoor terrace and original art on all the worlds. Fancy chilling out in a hipster-chic courtyard listening to great music between your trip sight-seeing? Check out La Republica! Beautiful design, helpful staff, a fantastic breakfast (lots of fresh fruit, eggs and muesli) in wonderfully designed building. It's located a little between Zona Rosa and Candeleria which means whilst you have a little walk to get anywhere by foot, the area's quiet - and most importantly - very safe. 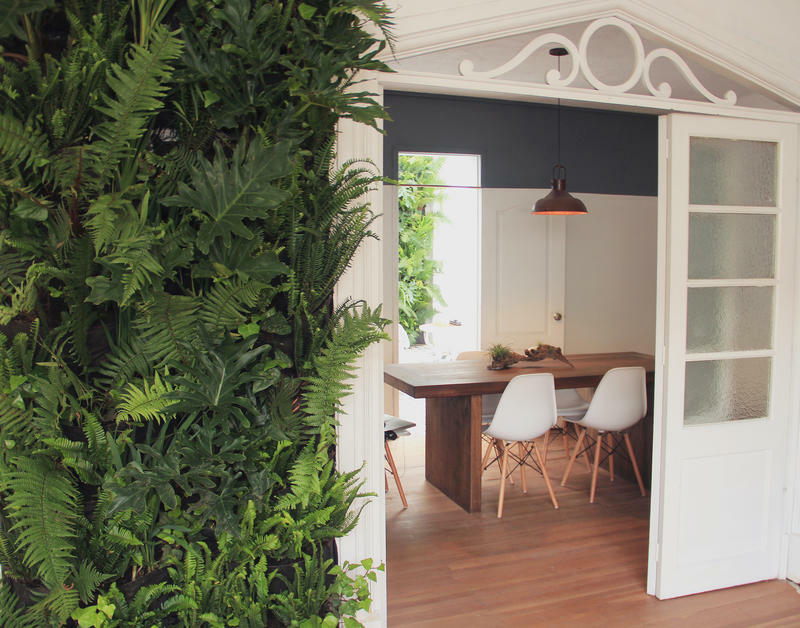 Looking for a chic, stylish hostel that could easily pass for one of the better Airbnbs? Then Aurora Hostel is a good option. 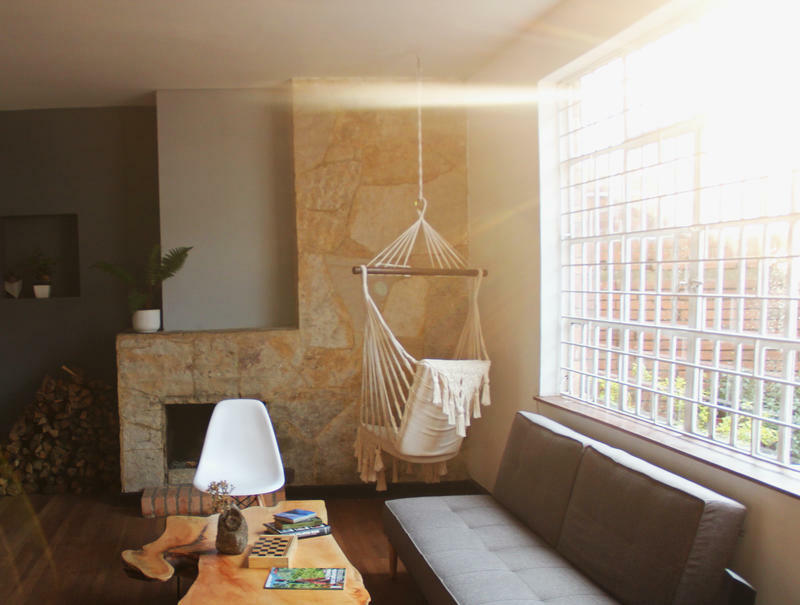 White walls, sleek design, succulent plants and a homely environment, this small homely hostel is ideal for those looking for a calm base in Colombia's capital. 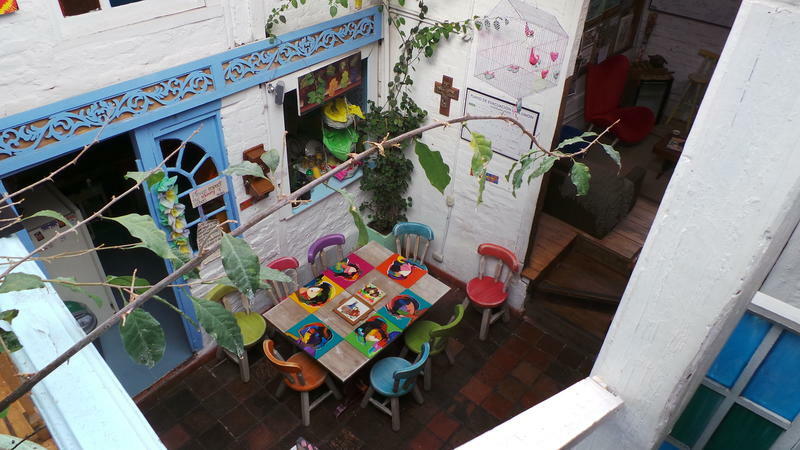 This delightful little hostel is located slap-bang in the middle of Candelaria. 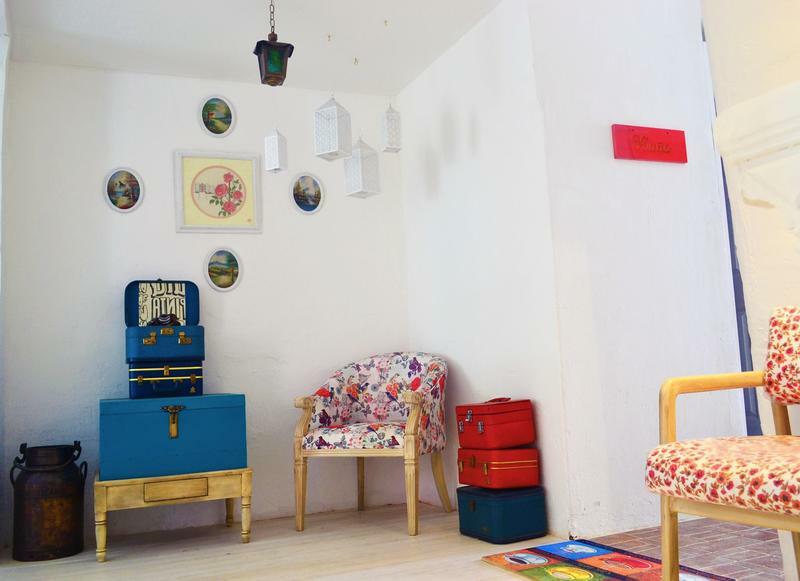 With bright colours, small doors, hidden secrets and quirky design it's a joy for anybody that loves a hostel that's a little bit different. Small guest kitchen is available as well as mini-bar, free breakfast and great staff. Would suit couples perfectly. Perhaps the most popular hostel in town (and one of the Lonely Planet's top picks), Mamallena gets booked up quick! Not for the traveller that wants an early night, but if you're in the mood for a party this could be perfect. 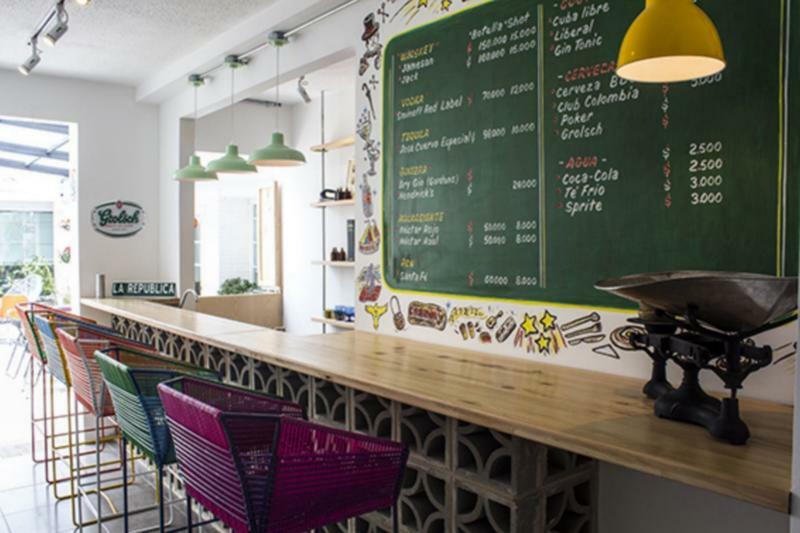 Great location in the centre of Getsemani with free breakfast and a well-stocked bar. 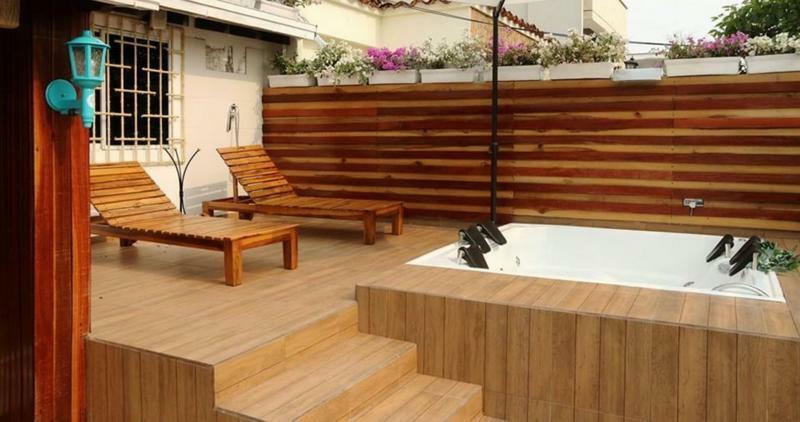 This new kid on the block, located in the old town, is one of the few in Cartagena with a pool - in this heat, that's a serious plus! Design is taken seriously, as is the fun on offer at the main bar upstairs. Located just off Plaza de la Trinidad (one of the liveliest town squares), Hostel Papaya is awesomely located for great bars, restaurants and cafes, but quiet enough inside that you'll never struggle to get to sleep. Fancy staying in? They have a great courtyard full of colourful graffiti and cheap beer! Cheap? Yep. Clean? Exceptionally. Well decorated? Look at the photos! Swimming pool? You bet it does! In fact, people really don't have much bad to say about this new hostel. There's even a bar, a kitchen and a great garden space outside. Run by locals, this smallish hostel feels more like hanging out a friend's house - and keen to show you that there's more to Cali than just salsa, they are super happy to give you any hints and tips to make the most of the sunny city. Chuck in loads of fun social activities, an amazing garden space, guest kitchen and bar area and two very friendly dogs and it's easy to see why this hostel ranks so highly. 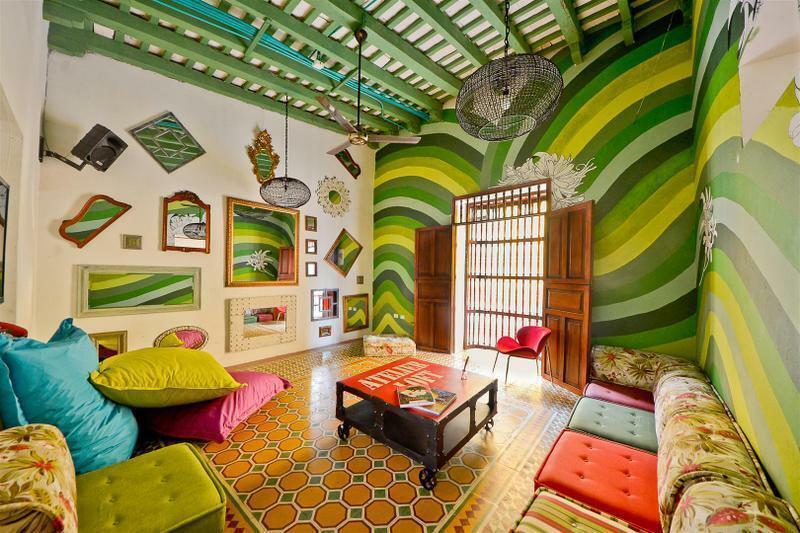 If you love the hippy vibe, then Casa Kayam is the place for you. 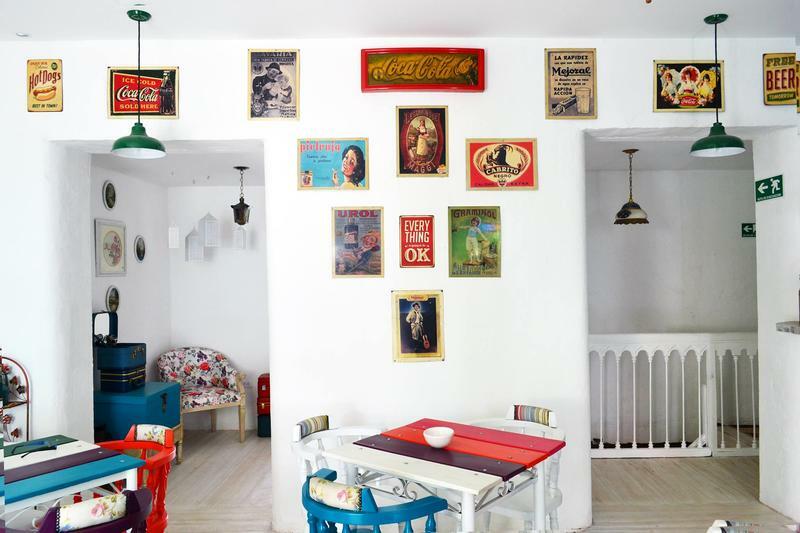 Run and owned by travelling artists, this small hostel is the very definition of laid-back and a great place to make friends. Although it's a twenty minute walk out of town, this means that this mountainside location is a nature lover's dream. There's also a great guest kitchen, wonderful reading area and fantastic breakfast. 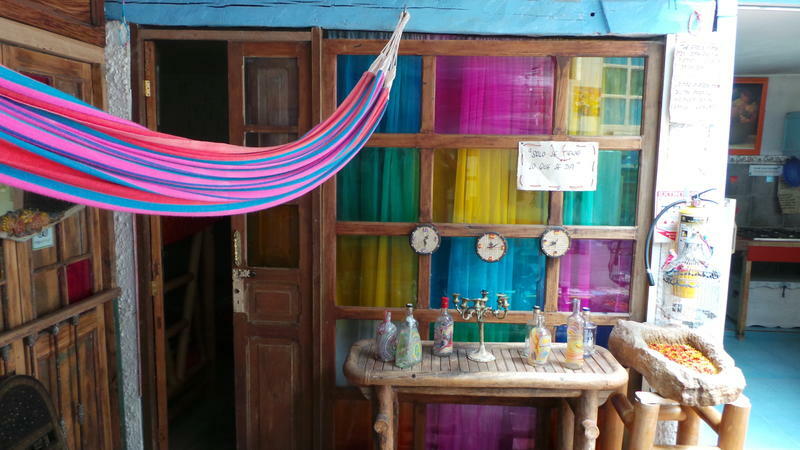 There's been no better time to buy that Colombia guidebook! If you feel right at home in cool coffee shops, take a look at Hostel Ondas which has an organic cafe on the first floor! Upstairs you'll find a beautiful hipster-styled space full of reclaimed food and green plants with a huge kitchen, and above this a rooftop bar with a 360 degree view of Medellin. They also consider discounts for long-stays and volunteers to help run the hostel. Being located in La Florista, it's away from the gringo-centric neighbourhoods whilst still being safe. A great spot for couples or those that like to pick and choose when they party! A little over one year old, this cool little hostel is great to chill out in (it even has Netflix! ), but close enough to the centre of Poblado so you can easily get your drink on. 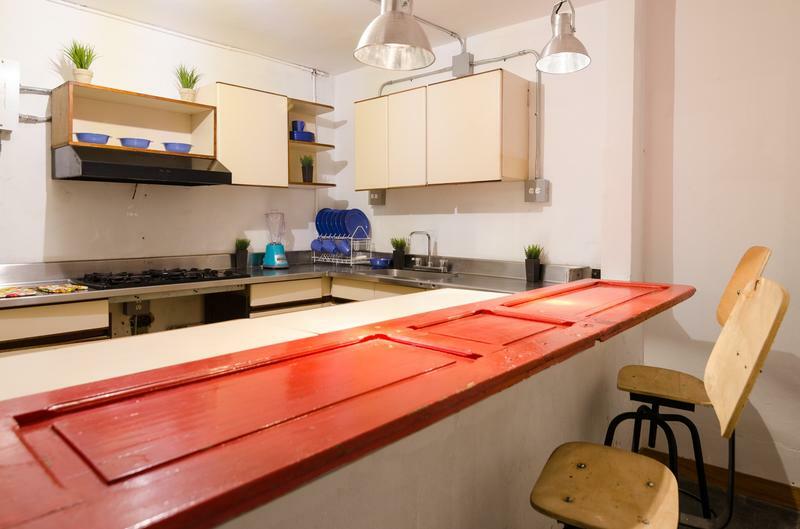 Guest kitchen, terrace, friendly staff and cool design - plus it's one of the cheapest hostels on this list! Fantastic views from the common areas, super speedy internet and a great backpacker vibe - there's a reason this hostel keeps winning awards (plus - it's bloody cheap by Colombian standards!). 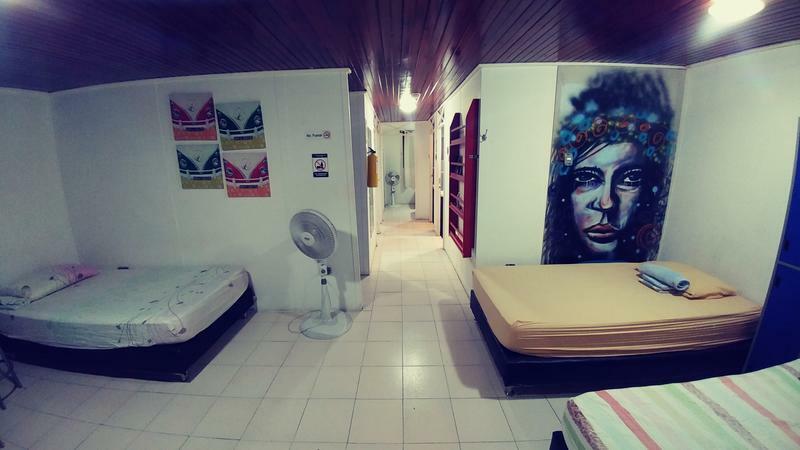 Rated the number three hostel in Colombia by a national paper, Secret Buddha is great for those looking for a slightly alternative place to stay and a retreat like experience. Split into two levels, it includes a 700m exotic garden with retro-world design and unique architecture. They even offer mezcal tasting evenings! Located outside of the city, it hardly feels like you're in Medellin at all. A new hostel located in the peaceful and bohemian neighbourhood of Manila, with an original, friendly and eco-responsible atmosphere. On the roof (with fantastic views over Medellin) there's a guest kitchen and wonderful terrace and on the street, a cafe hosting exhibitions and cultural activities. Four words: the world's biggest hammock. But seriously, of all the views in Minca, it doesn't get much better than the view from Casa Elemento. Either opt for one of the dorms or private rooms, or if you want to get closer to nature sleep in one of their incredible garden tents - and wake up to the world below. Oh, and they also have an great reading room, a bar and a swimming pool. Just in case you needed any more convincing! If you can handle all the stairs you have to climb to make it to Casa Loma, you'll be treated to astonishing views over Minca. 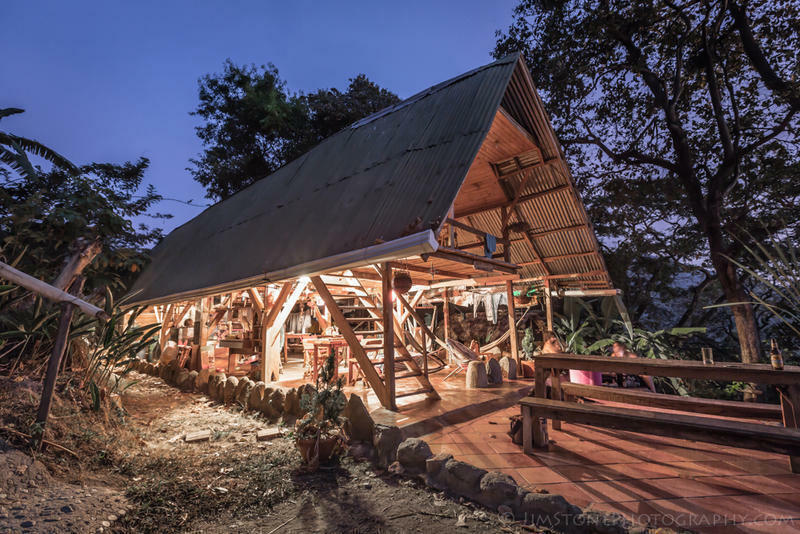 This treehouse-style hostel doesn't have wifi but when you're sitting on the terrace with a rum and coke in hand looking out over the hills below, you'll be so happy you were able to disconnect. The perfect spot to chill out after the Ciudad Perdida Trek or on the way back from La Guajira - we mean, just look at that pool area! 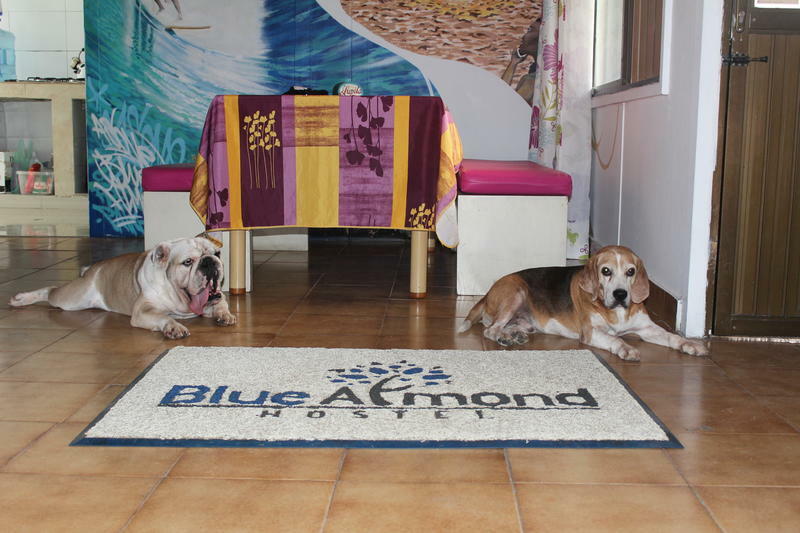 Situated right next to the beach with a great bar and restaurant (no kitchen unfortunately). There are cheaper options in town, but there's a reason this place is so well-known on the backpacker's circuit! 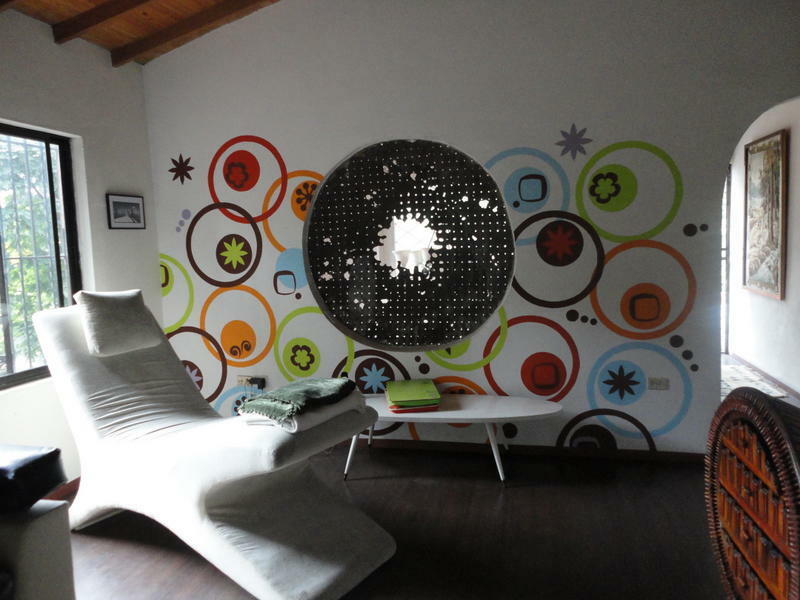 A new hostel, but already a firm favourite amongst visitors to Salento. This huge farmhouse set in acres of land and with beautiful views of the surrounding countryside is situated at the edge of town, six blocks from the town centre. 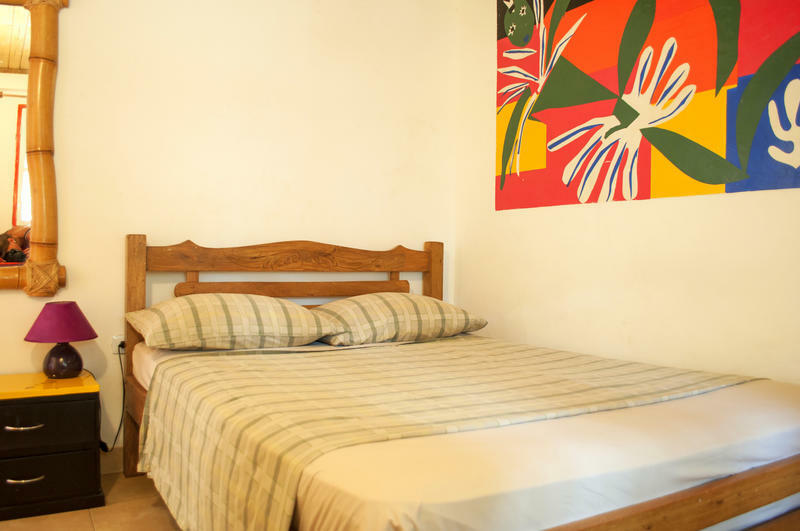 Big, well-equipped rooms (both dorms and privates) and wonderful common areas is touted by many as ' the best hostel in South America'. Unfortunately however there is no question, nor is breakfast included in the price. 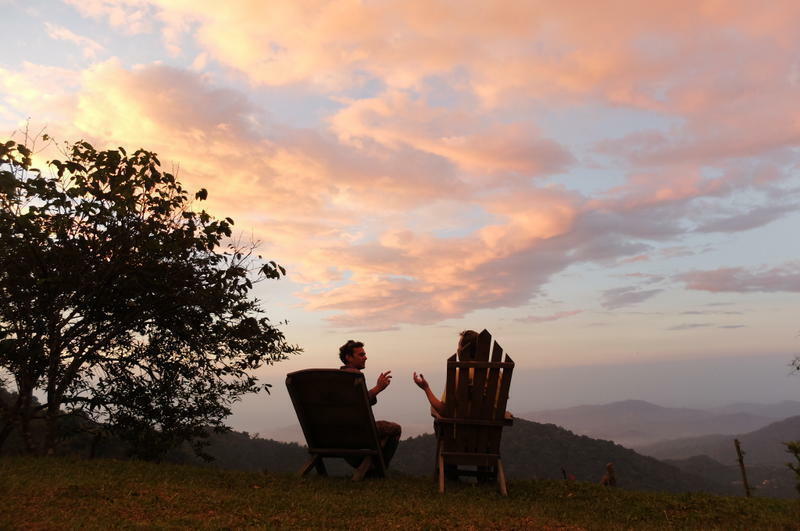 A Colombia style hacienda located on a 20 hectare farm with 360 degree views of rolling mountains and valleys. Sound good? Keep reading. High ceilinged rooms house beautiful antiques, a well-stocked guest kitchen (with popcorn machine!) - you can even buy fresh milk for their very own cows. Talk about a countryside experience! Whilst this might not be the fanciest hostel on the island, it's certainly the most popular - and for good reason! The owners, Alejo and Juan, will go out of their way to help you and can often secure reduced rates with one of the dive shops. It's a small hostel, and a great place to make friends that will feel like family. Voted the 'Best Hostel in Colombia' in 2014, if you're looking for a fun hostel with a relaxed atmosphere where you can rest, meet people, have a drink or just sunbath by our swimming pool... This is it. Unfortunately it's a little out of town, but a great location if you plan on heading to Tayrona. Be warned - this is a party hostel, but if that's what you're looking for you can't do much better! 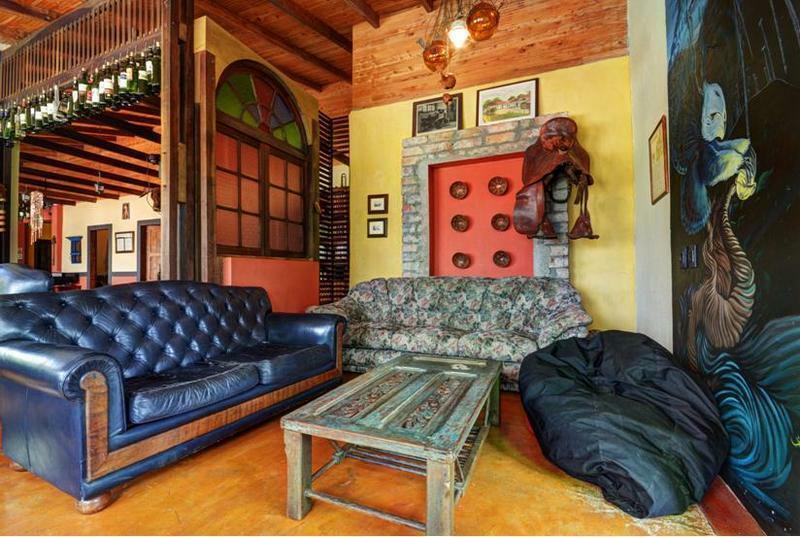 A boutique style hostel in the centre of Taganga village. Includes a central patio with a beautiful swimming pool, kiosks with hammocks and guest kitchen and a large breakfast included in the price. For dinner, you can also dine at their competitively priced French-inspired restaurant. Don't miss their rooftop cocktail bar and the famous 'Friday Divanga Party'. Check availability and prices on here.